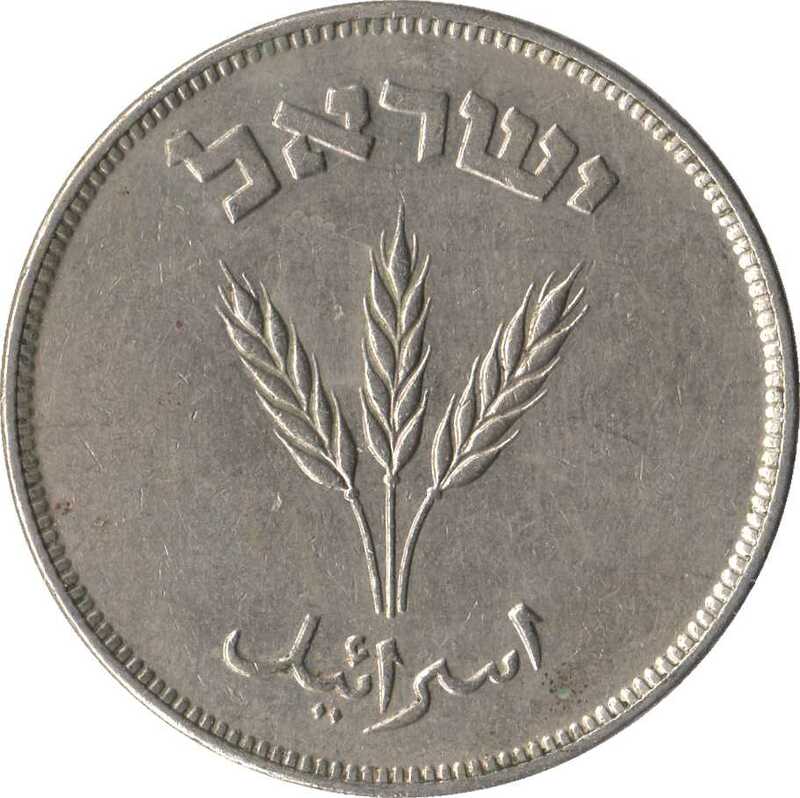 Three palm branches; "Israel" in Hebrew and Arabic. 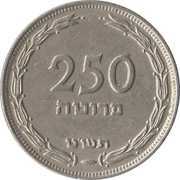 The design is based off a coin minted during the war of the Jews against Rome (66 - 70 CE). 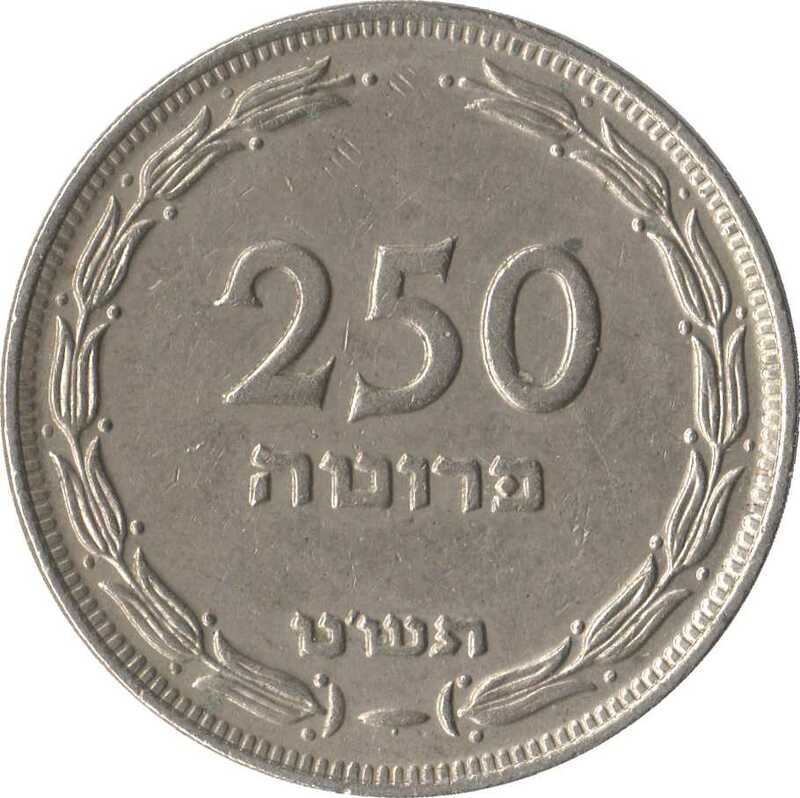 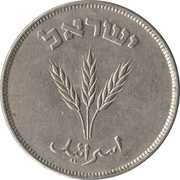 The denomination "250 Pruta" and the date in Hebrew; two stylized olive branches around the rim.